Legal searches at The Secret Acre revealed that we receive the princely sum of £1 per annum ground rent for the electricity pole in the garden. But the wire off it that delivered our mains electricity looked like it would be dangerously within reach of small children once the dormer was built. 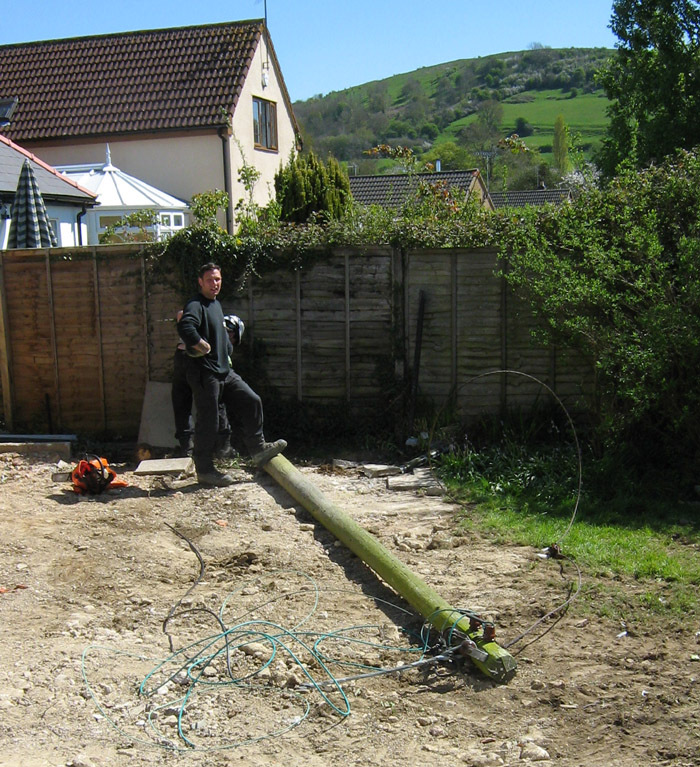 More importantly the pole was slap bang in the middle of the proposed foundations for the timber frame extension. It would have to go. But there was a possible fly in the ointment. Our pole also supplied electricity to one of our neighbours. 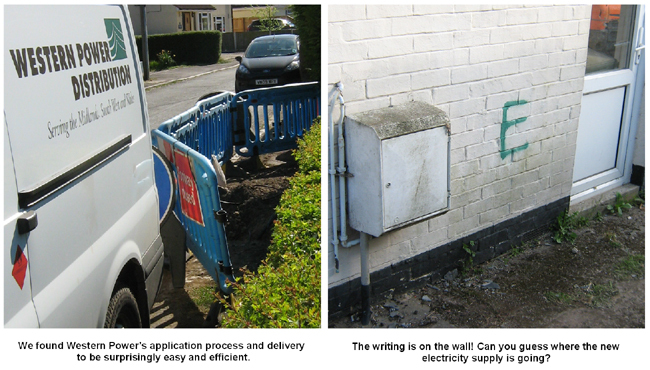 Fortunately they too didn’t mind having their dangerously low looking old wire supply upgraded to a more secure underground cable, and Western Power’s application process and delivery was easy and efficient. So over three sunny days the two new underground electricity supplies were installed and the pole was felled. We’ve kept it. We might use it as the legs for a dining table, just to remind us of the £1 a year we won’t see again. This entry was posted in House and tagged electricity pole, electricity supply, Paul Rainger, The Secret Acre, Western Power by paulrainger. Bookmark the permalink.